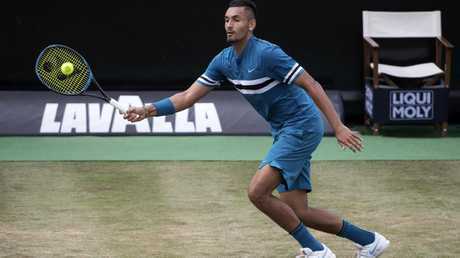 Australian No.1 Nick Kyrgios has lost his showdown with Roger Federer as the Swiss great reclaimed the world No.1 ranking by booking his place in the final of the Stuttgart Open. 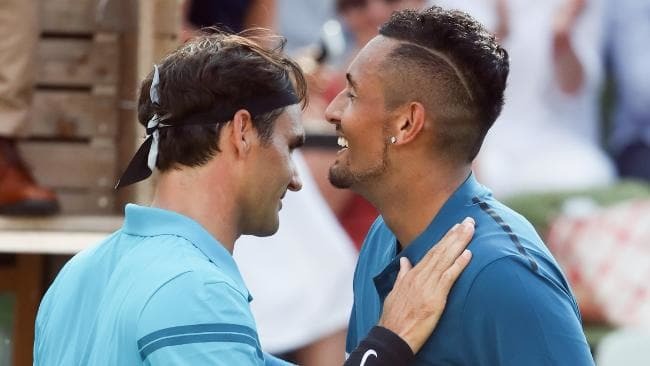 Federer was pushed all the way by the fourth-seeded Kyrgios, who fired down 23 aces in another battling performance at the German grasscourt tournament. Two aces from the 23-year-old forced a first-set tiebreak and he quickly built a 3-1 lead after outlasting Federer in a rally. Nick Kyrgios put up a stirring fight. Kyrgios grabbed a fast 2-0 lead after unleashing a flying forehand pass on the stretch but Federer rallied back to move 5-4 ahead before a flicked effort at the net confirmed his place in the final 6-7 (2-7) 6-2 7-6 (7-5). 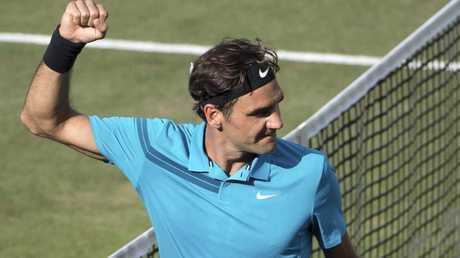 "I'm very relieved because I knew it was a tough match against Nick," Federer said. "We've played so many breakers and it could have gone either way." Federer now goes through to Sunday's final where he will aim for a 98th career title against Canada's Milos Raonic, who won his last title at the 2016 Brisbane International. Roger Federer will now play Milos Raonic in the final. "I tried to make it difficult and I don't want any day to be easy for anybody," Raonic said. "I'm happy I have a chance to come back and play some more good tennis." Raonic grabbed the opening break of the game with a running forehand down the line before a quick serve and volley tactic sealed the first set advantage. Frenchman Pouille, 24, kept Raonic at bay on serve, including an enthralling 12-minute trade-off at 3-3, until the pair entered an inevitable second set tie- break. Raonic edged the baseline and after challenging the original out call had the decision overturned to open up a 3-1 gap in the tie-breaker.